I have been on a streak of reading some excellent collections. 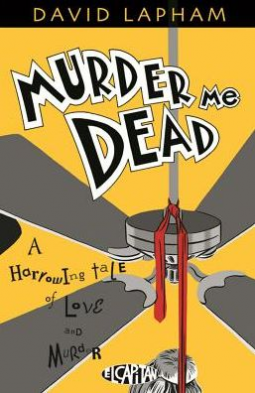 “Murder Me Dead” is another one of them. David Lapham has made a name for himself working in the crime noir genre. He uses the traditional tropes of the genre with a loser of a protagonist ( I will not call him a hero), a dangerous woman, a mystery, and violent crimes everywhere. This would make an excellent mini-series on television. I will not say anything else about the story because it would ruin it for anyone who has not read it yet. Highly recommended.